Tomorrow we go to my grandmother's house to set up the chairs and get everything ready, then do a run-through and have dinner. Saturday I become Mrs. S! 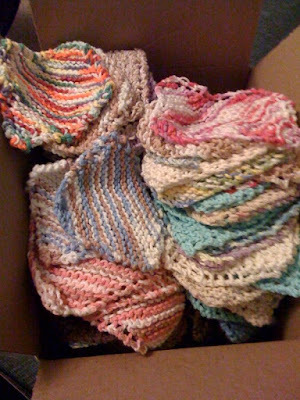 Thanks to helpful knitter friends, I have enough wedding favors! Also, I was sad to notice that my LAST post was #250.. but oh well. I'll see you guys on the flipside!